Even money favourite Kangaroo Jack (Querari – Rainbow Flag by Model Man) showed his class with an authoritative win in Saturday’s G2 Joburg Spring Challenge at Turffontein over 1450m. 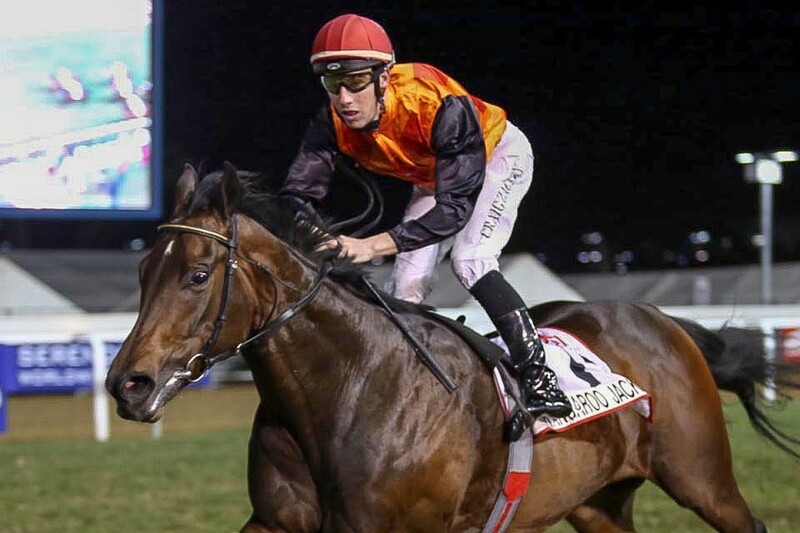 Bred and owned by the Wallace family and trained by Gary Alexander, the 4yo made it 5 wins in a row with an easy 2 length victory in the R400,000 contest, beating some very decent racers including the G1 Durban July winner, The Conglomerate (AUS) and 5 other graded stakes winners. With wins in both the G2 Post Merchants and G3 Spring Spree Stakes to his credit, the upwardly mobile Kangaroo Jack defied a 7lb penalty with a deceptively easy win. Kangaroo Jack hasn’t been out of the first 2 placings in his last 9 starts. He has now won 6 from 10 outings and banked over R880,000. His 45 runners have produced 32 winners (71%), which include 10 stakes horses (22%). His progeny have had 314 starts and have won or placed 160 times (51%).